KayKiSpeaks.com: MempHitz, Toya, and their girls Make a Little Girl's Christmas special! 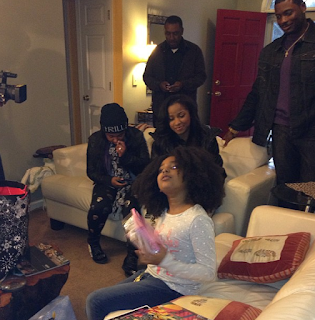 MempHitz, Toya, and their girls Make a Little Girl's Christmas special! What we know about Toya Wright is that she's gone from being known for her personal business to being one of the hottest business women in the game. She's the owner of two boutiques- Garb in New Orleans, and Garb Shoetique in Atlanta, a New York Times Best Selling Author, a huge reality tv star, and Lord knows what else is up Toya's sleeves. 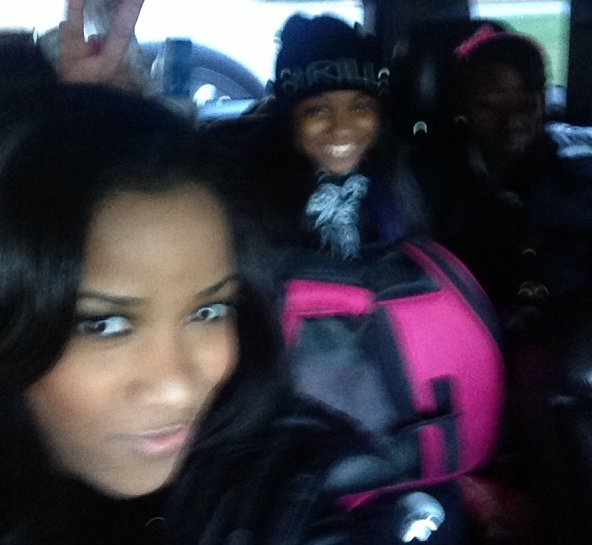 Another thing Toya has stayed true to is her love for family. 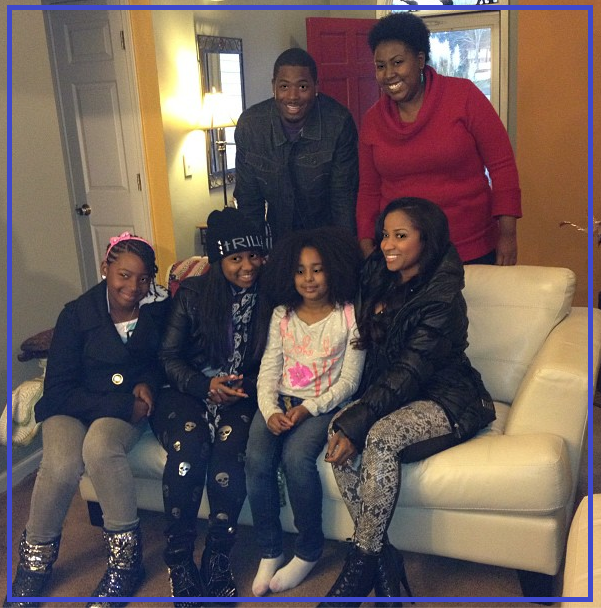 She's a great mom to her daughter Reginae and step daughter, a sister/daughter who goes to bat for her siblings and mom, and the woman LOVES her hubby Memphitz. Follow her on any of her social media accounts and if you'll learn nothing else, you'll learn that she loves her family. So, I wasn't very surprised when I learned she and her family had stopped by a lucky little girl's house and had given her a Christmas she'll always remember. No one in the family has said much about what they did outside of sharing a few photos on IG. From my few encounters with this family, I'm encouraged to believe they truly wanted to just be a blessing to someone else. Heres what the recipient Nena Jones had to say about her encounter with the Wrights! Wow. When I learned MempHitz, Toya, and their family wanted to bless a child who was less fortunate than themselves, and that my child was going to be that child, I was lost for words. Knowing that I was not able to provide anything for my daughter, I was overwhelmed. After hearing a message in church two weeks prior at Living LIFE Worship Center about miracles, I accepted this random act as just that, a miracle. Yall know I love love LOVE this!